The 2017 AMHA Convention is now one for the books! By all accounts the convention, which was held last week in Riverside, California, was a rousing success! A big congratulations to the Wisconsin Morgan Horse Club, the 2016 AMHA Club of the Year! Don't forget 2017 Club Renewals were due Feb. 15. They are slow coming in this year, so please send yours in as soon as you can if you haven't already. As always, pass along your club news for the website and if you have any questions, just let me know. Thank you! More than $60,000 was earned at the 2017 AMHA/WMF Online Stallion Service Auction. The net income following expenses from this auction go to breed promotion and will be distributed to the World Morgan Futurity, AMHA regional shows, the AMHA Show Grant Program, and AMHA's Marketing and Promotion. There was a tie for this year's top-winning bid, with Lindsay Naas and Earl Plank each paying $5,000 for Graycliff Tony GCH and Dragonsmeade Axios, respectively. Paulette Bodnar and Terri Sturm each bid $3,100 on Merriehill After Hours GCH and Jake Ryan, respectively, and Jessica Marino bid $3,000 on Minion Millennium. Congratulations to the winning bidders and a special thank you to the stallion owners and all who participated! We couldn't do it without you! At the annual reorganization meeting on Friday, February 24, 2017, Vicki Bennett was elected by the Board to serve as AMHA President. AMHA is pleased to announce the following AMHA members received honors at its Annual Awards Luncheon which took place on Saturday, February 25 in Riverside, California, as part of its annual convention. Three AMHA members received a 2016 AMHA Master's Certificate: Curtis J. Merritt from the Sacramento Valley Morgan Horse Club, and Joy and Wes Smith from The Lippitt Club. Two AMHA members received a 2016 AMHA Promoter Certificate, Mary E. Brown and Curtis J. Merritt of the Sacramento Valley Morgan Horse Club. In the fall of 2015, the administration of the Van Schaik Dressage Scholarship was transferred from AMHI to AMHA. This scholarship is given annually to a Morgan individual wishing to further his or her skill, knowledge, or proficiency in classic ridden dressage. The intentions of the scholarship emphasize helping to move a rider from the beginning levels of dressage to fourth level or higher. Accordingly, AMHA is pleased to announce the 2016 recipient is Monica Hammond, who was the rider of Fox Brush Custom Design (Funquest Erick x Bowood Elusiv Dream). Monica and Fox Brush Custom Design are the Open Competition Beginner Level Dressage High-Point Champions. 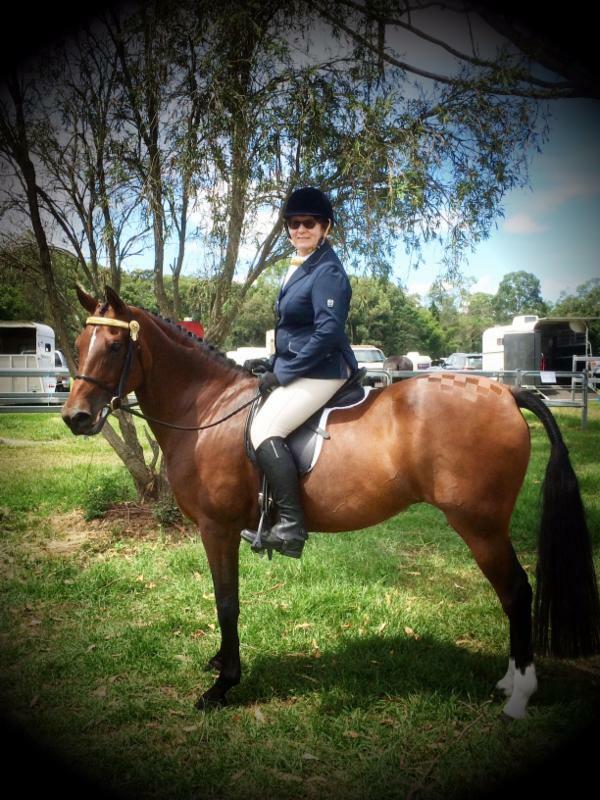 Monica will receive a scholarship of $2,000 to further her education in classical dressage. The 2017 Grand National will take place October 7-14 in Oklahoma City. For more information, go to www.morgangrandnational.com. Mason Dixon Classic is Moving! The Pennsylvania Morgan Horse Club, Inc., is proud to announce that our USEF rated horse show for Morgan, Arabian, Half-Arabian and Anglo-Arabian horses will be held this year at a NEW location! We are hosting our show at the Swan Lake Horse Shows Facility in Littlestown, Pennsylvania, near historic Gettysburg and within minutes of Hanover on April 28- 30th, 2017. The new show venue will allow us to offer our exhibitors the opportunity to show their horses at one of the largest horse show facilities on the East Coast. The facility is on 300+ acres surrounded by farmland, and offers 240 premier horse stalls, seven outdoor rings, one indoor arena, trails, and even a lake for swimming horses. Lots of great hotels nearby and tons of activities for all the non-horsey people too! We are truly excited to be hosting this year's show at such a fabulous location. As always, we are offering In-Hand, Pleasure, Driving, Park, Western, Academy, Open Carriage Division, Opportunity classes (open to all breeds), Dressage and Western Dressage, Sport Horse Division, and Working Hunter. Along with all of that we offer a AMHA Youth of the Year Competition, Equitation, and AMHA Medal Classes. The club is excited for this year's show, and is working hard to make this one of the best. Please visit our website www.pamorgans.com/events/mason-dixon for any new or additional information regarding the show. You can also follow us on Facebook at PA Morgan Horse Club. Please feel free to contact the show manager, Kristina Corder, as she will do whatever she needs to make this show a great one. Her contact info is on the website, kc.srs22@gmail.com, or just click on the link for the USEF listing which also list the show secretary contact information also. If you are interested in helping the show this year and for future years to come, you can download our sponsorship form on our Mason Dixon website as well. We hope to see old and new friends at our show this year. For more information on the venue please visit www.swanlakestables.com and for more information about the surrounding Gettysburg area, please visit www.destinationgettysburg.com which is a great website for restaurants, hotels, and fun activities that surround the venue! The American Morgan Horse Association is pleased to be able to continue to offer the High-Scoring Morgan Award to open competitions across the country. This award is designed to recognize the highest scoring Morgan at events and competitions open to all breeds. You are invited to include this award at your 2017 event. The award is offered free of charge to open competition coordinators upon receipt of the application form. Participating events will be included in a calendar of events available to all who visit the AMHA website (www.morganhorse.com). If you are interested in presenting this award in 2017, please contact Katie Hodges at Katie@morganhorse.com, (802) 985-4944 ext. 401, or feel free to visit our website to print off the application, https://www.morganhorse.com/programs/open-competition/sponsored-awards.